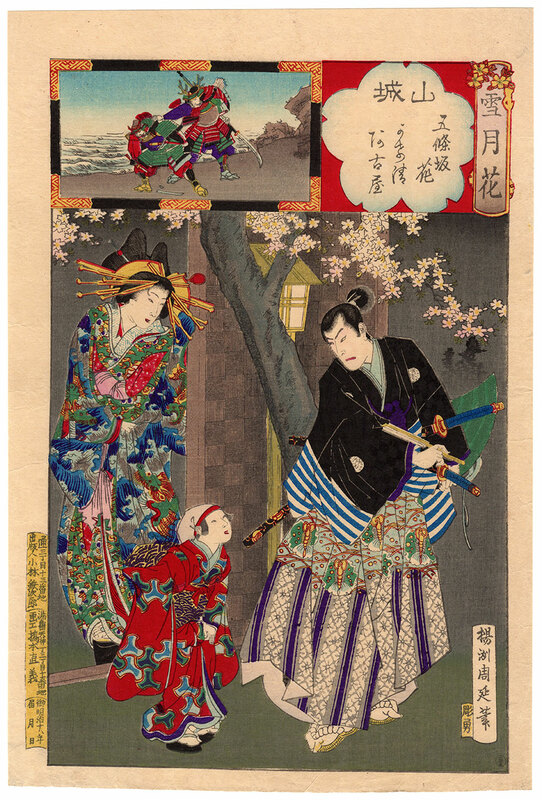 Beautiful depiction of Akoya (阿古屋), a famous courtesan in the Gojozaka (五條坂) district of Kyoto dressed in a magnificent kimono decorated with waves and dragons, saying goodbye to her beloved samurai Taira no Kagekiyo (平景清). 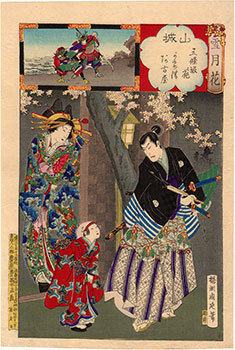 Takes part in the leave, which takes place in the ancient province of Yamashiro (山城国) under a cherry tree in bloom, also a young assistant kamuro (禿). 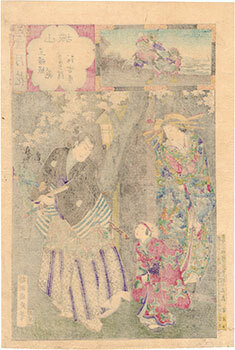 In the upper insert of the work we see, instead, the capture of the famous samurai during the battle of Dannoura (壇ノ浦の戦い). 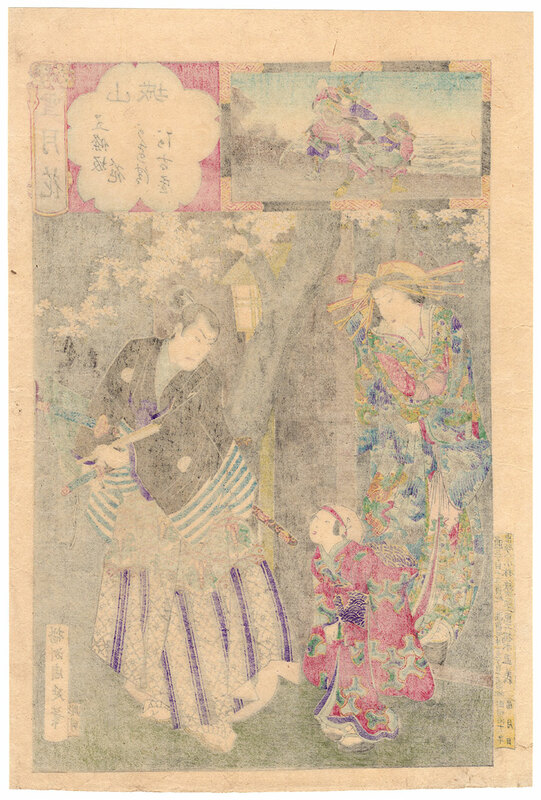 This fine woodblock print, made in 1885 by the publisher Kobayashi Tetsujiro (小林鉄次郎), is taken from the series "Snow, Moon and Flowers" (雪月花) by the artist Toyohara Chikanobu (豊原周延) and is titled "Flowers of Gojozaka" (五條坂花).